Tomball ISD's Parent Prep Academy warmly invites you to Mindfulness: Understanding Anxiety and Ways to Cope. 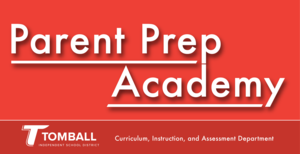 This parent workshop will be offered on Thursday, May 2nd from 5:00 - 6:30 PM offered at Tomball Junior High School. Tomball Elementary School recently achieved the prestigious honor of being named a Great Expectations Model School. The school’s principal, faculty, and staff worked diligently to accomplish this impressive goal. Tomball Elementary School is a showcase for the rewarding benefits that Great Expectations provides students, faculty, staff, parents and the community, and it will be visited by other schools/districts. Great Expectations schools have a culture of respect and high academic achievement. 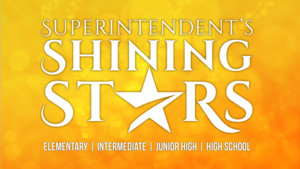 “The school is truly a shining star in the community, state, and nation. The staff and faculty are to be highly commended for their efforts. We are overjoyed to add them to our list of ‘Showcase Schools’,” said Dr. Linda Dzialo, President and CEO of Great Expectations. The Great Expectations Program, founded in 1991, is a scientifically-based research educational reform model that is bringing major change and innovation to PK-12 public and private school classrooms in Oklahoma and beyond. The program represents an approach to learning that empowers teachers to expect and to get the best from students; it rekindles the excitement of discovery among both students and teachers, and it pushes everyone involved to greater heights of achievement. The basic principles of the program are: high expectations for students, a learning climate based on mutual respect between student and teacher, student self-esteem, a belief that all students can learn, positive teacher attitude, and highly skilled and knowledgeable teachers who inspire and enable students to achieve success. Over 40,000 educators have been trained in the GE Methodology. There are currently GE Model schools in Oklahoma, Texas, Kansas, Michigan and South Carolina. More information about the program can be found at www.greatexpectations.org or by calling 918-444-3744. Tomball ISD's Parent Prep Academy wants to warmly invite you to Food Fight: A Hands-on Guide to Get Picky Pre-K Children to Eat. This presentation will be offered at the Technology and Staff Development Center on Tuesday, April 30th from 5-6:30 PM. Kevin White, our district's dietitian, will present how to cope with picky Pre-K eaters with practical strategies and healthy snacking to help parents reach happier mealtimes. Attached below is a frequently asked questions, in case parents contact your campus with questions, and the flyer that will be sent out to your campuses to be placed in Wednesday folders with our Pre-K students. Please let us know if you have any questions! Hope to see you there! Click the headline for more information. Click on the headline above for information in English. Click on the headline above for information in Spanish. Thank you to everyone that ordered a Friendship According to Humphrey shirt. Please wear them on the following dates: April 15 (Monday), April 23 (Tuesday), April 30 (Tuesday), and May 7 (Tuesday). Students from several Tomball Elementary schools participated in the First Tee Champions Challenge which is designed to promote outstanding character, leadership and their golf skills. 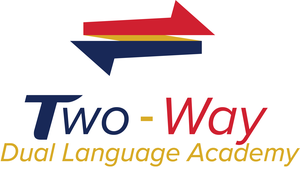 The Tomball ISD Two-Way Dual Language Academy will open in 2019-2020 at Rosehill Elementary for incoming kindergarten students across the district.